Halloween is coming and Baby Hazel is getting ready to have some fun with her crafts. Halloween crafts for decorating the classroom were asked by Hazel’s school teacher since it is Halloween crafts making day. Join in the fun in helping Hazel make her Halloween crafts and also design costumes for Halloween. You can also attend and join with Hazel as she decorates the classroom with Halloween decorations. Have fun as Hazel crafts Halloween decorations to compete with the other kids in a contest. Encourage and make her happy as she creates very unique and cute Halloween crafts. 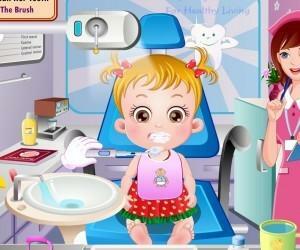 The little princess has to prepare for the Halloween crafts making day and she needs the player’s help. In order to do this, Hazel has to make some cool and scary crafts and a fancy costume for school. She will need help in designing her cool costume and crafts so assist her right away. She will be happy if players help her with what she needs. Ashley also helps out in making Hazel’s Halloween dress. It is time to wake up the little princess so she can go to school. A player can wake Hazel up with a touch of the mouse and then give her a shower. After that, dress her up in her pretty Halloween costume along with the accessories that Ashley gave as a gift. You can also help Hazel in completing her pending craft so she can be on time for school. Baby Hazel has already reached the school without being late for class. Now she has to help her friends in decorating the classroom with different crafts to get the true feeling of Halloween She will need all the help she can get from players so that the classroom will be the perfect place for a Halloween party. Play with Liam and Mia in a game too. The teacher has asked Baby Hazel and the others to make a creative Halloween craft by using the available materials they have on the table. The competition has a time limit of 30 minutes only. 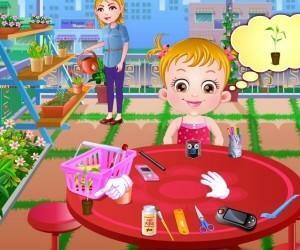 It is time for Hazel to shine with her talent of making creative crafts and your task is to help her out with it. Hopefully, what the player and Hazel will create will make her win the competition. The Baby Hazel Halloween Crafts game is a very educational game that teaches creativity, friendship, and resourcefulness. A child playing this game will get inspiration from making cool crafts when the school asks them to create some. 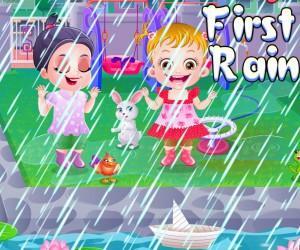 Creativity will definitely be developed if a child plays this game and it has the prospect to become one of the top educational games for children. It’s Halloween Crafts making day in Baby Hazel’s school and the teacher has asked the kids to bring Halloween crafts for classroom decoration. Let’s join Hazel and help her make some amazing Halloween crafts and design ravishing Halloween costumes. Then join her as she decorates the class. There is also a craft competition for kids. Be with Hazel and encourage her to create some unique crafts. Enjoy!